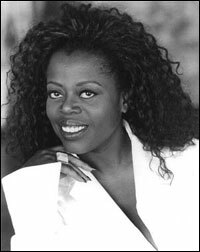 FAME THE MUSICAL Producer John Frost announced today that the role of Miss Sherman in the Sydney season of FAME will be played by Tony award winning actress Lillias White. Ms White has been recognized on Broadway with the Tony Award®, Drama Desk Award®, People's Choice® Award and The Outer Critics Award® for Best Actress in a Musical - Broadway's Prestigious Quadruple Crown - for her 1997 role as Sonja in The Life. In 1990 she won The Obie Award® for Best Actress in a Musical for her portrayal of Hennie in Romance in Hard Times. In addition, she won The Drama Logue Award® for Best Actress in a Musical for her role in the national tour of Dreamgirls. Other Broadway credits include How to Succeed in Business, Once on This Island, Rock n' Roll: The First 5,000 Years ( Aretha Franklin ), Barnum, Carrie and Dreamgirls, and she has performed in US and international tours of Ain't Misbehavin', Tintypes and The Wiz. Ms White's TV and film credits include featured roles in the films Pieces of April, The Grinch That Stole Christmas, North and Disney's Hercules. In 1992, Ms White won an Emmy Award® for her role as Sesame Street's Lillian Edwards. John Frost said, "I'm overjoyed that Lillias had a gap in her busy performing schedule to join my production of FAME. She is an extraordinary performer, and now Sydney audiences can see why Lillias has won just about every theatre and television award there is in the US. Sydney, prepare for The Voice!" This new multi-million dollar high-energy production of FAME THE MUSICAL, featuring some of the most dynamic choreography you'll ever see in the theatre, opens at the Capitol Theatre from October 9 for a strictly limited season. FAME is, almost uniquely, a classic of cinema, television and music theatre. The movie, released in 1980, won an Academy Award and swept the world. The TV show ran for six seasons, won numerous Emmy Awards and was broadcast in over 70 countries. FAME THE MUSICAL ran for a decade on London's West End and has been seen by over ten million people worldwide. It follows the story of a diverse group of students at New York City's celebrated High School of the Performing Arts who inspired a generation. FAME THE MUSICAL is directed and choreographed by Kelley Abbey, and also stars Andrew McFarlane, Brian Wenzel, Timomatic and Talia Fowler. Darlene Love, who performed the role of Miss Sherman in the Melbourne and Brisbane season, returned to the US for commitments on a movie about her life.